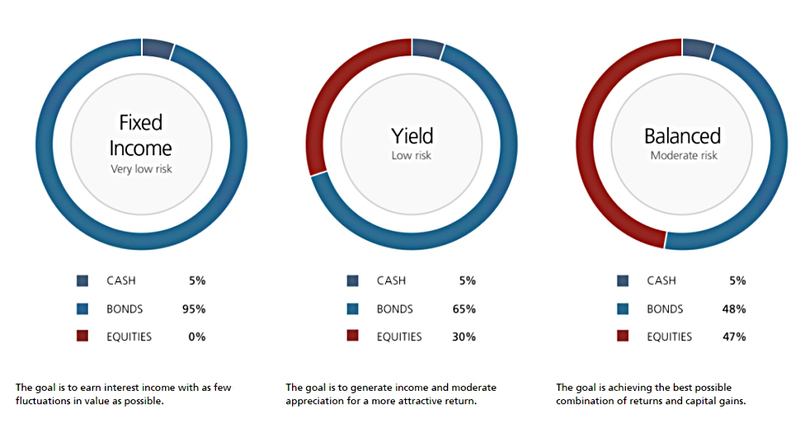 Today’s post is our eighth look at robo-advisors and ready-made portfolios. Today we’re going to look at some more traditional wealth managers, to see how they shape up. This post was prompted by an article in the Daily Mail that Barclays was “squaring up” to Hargreaves Lansdown by cutting their charges. The article actually focused on fund, with Barclays planning to charge a 0.2% platform fee (on the first £500K) in contrast to the 0.45% charged by Hargreaves (on the first £250K – 0.25% after that). We already knew that fund on HL (and everywhere else) are expensive, so let’s look at the ETF costs. 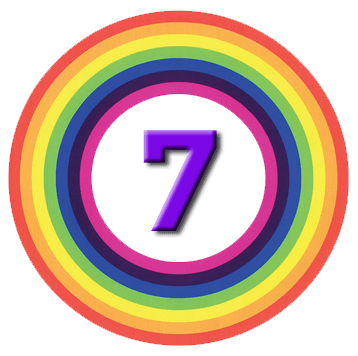 As before, when we looked at Vanguard and its comparators, we’ll use the core 7 Circles diversified ETF portfolio as the basis for comparison. This includes 15 ETFs with a weighted average charge of 0.21%, and you can find it here. 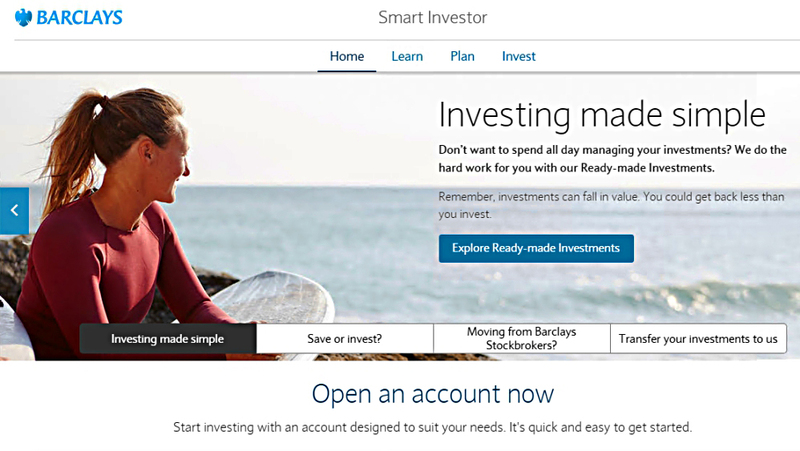 The article calls the new service Barclays Direct Investing, but when you get to the site, it now seems to be called Smart Investor. There’s an ISA at present, with a SIPP due for 2018. They also offer two ready-made portfolios – Growth and Income. But these are made from funds (OIECs) and are expensive. 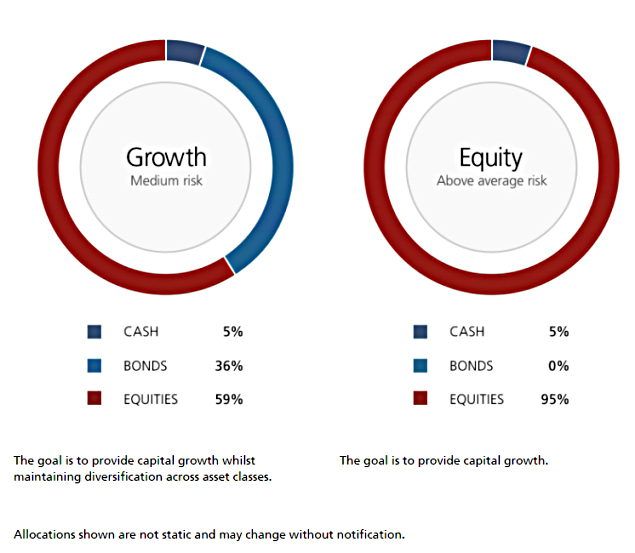 The Growth portfolio costs 0.65% pa and the Income portfolio is a massive 1.65% pa. The platform charge for shares and ETFs is 0.1% on the first £200K. As far as I can tell, this cap is just for existing Barclays Stockbrokers customers, and may be temporary. We’re introducing special pricing just for Barclays Stockbrokers customers. We’ve capped the customer fee on ‘other investments’, so you’ll only pay the customer fee on ‘other investments’ up to £200,000. This special pricing will be available for at least three years and is designed to help you transition to the new service. Trades cost £6, so our year 1 trading costs are £90. There’s a minimum charge of £4 a month (£48 a year), but all our portfolios will exceed that. There’s also maximum fee of £125 per month (£1,500 per year) but none of our portfolios will get close to that. But they are competitive at the top end (£250K and £500K), for those who can access the platform fee cap. So Barclays have been added to our leaderboard. Shortly after the Barclays announcement, the FT ran an article on how traditional wealth managers were failing to adapt to robo advice (or “the digital revolution” as they called it). It turned out that only UBS and Brewin Dolphin currently had offerings. Killik have one coming in the autumn. So let’s take a look at UBS. The approach here is that you answer some questions and this leads to a “personalised investment strategy” which is reviewed once a year. It looks like there are five underlying strategies, which seem to be built from in-house UBS funds. There is an ISA but not SIPP. 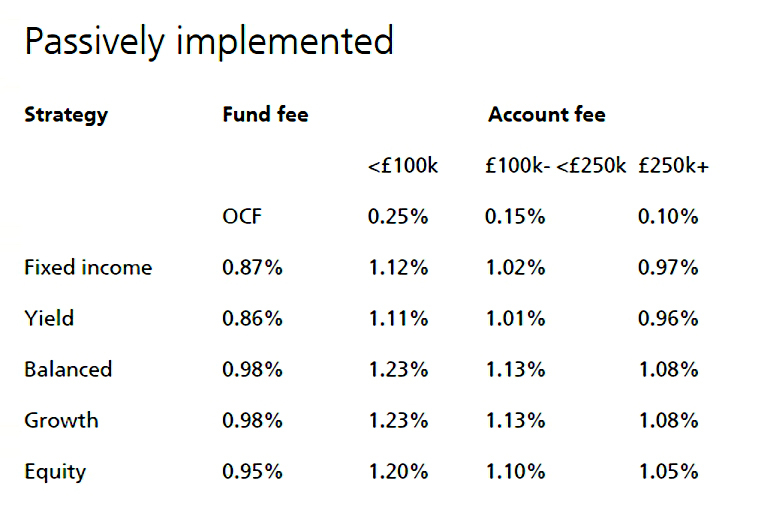 But from looking at the table of fees for the passive portfolios, it looks as though the fee is not tiered. That puts UBS firmly into the red zone of our table. 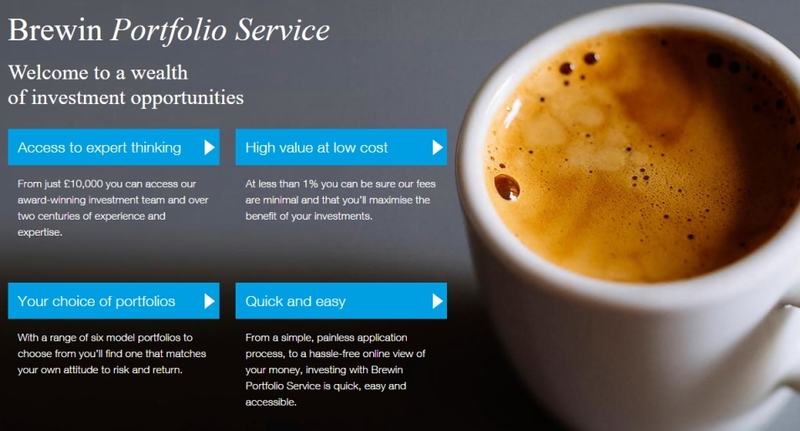 Brewin Dolphin (BD) offer a Portfolio Service, starting from £10K (and apparently capped at £200K). There is an ISA, but no SIPP. 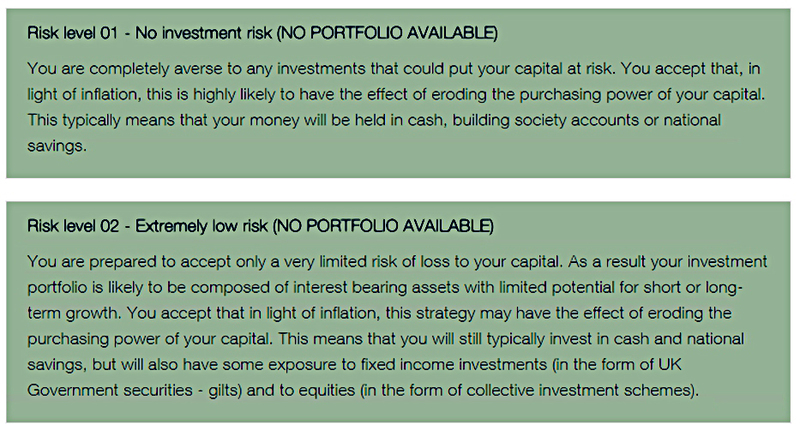 BD use a model involving 10 levels of investment risk, but they only offer portfolios for levels 3 through 8. The front page also states that fees are below 1% pa. So the maximum fee is 0.86% and the minimum 0.81%. This puts BD towards the bottom of our table, largely because the platform fee is not tiered or capped for larger portfolios. 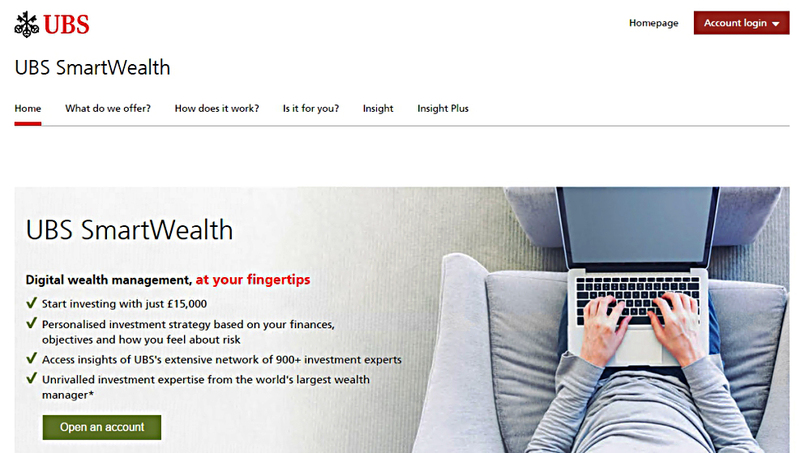 UBS and Brewin Dolphin are really just web front-ends onto a traditional ready-made fund portfolio. They are way to expensive for us. 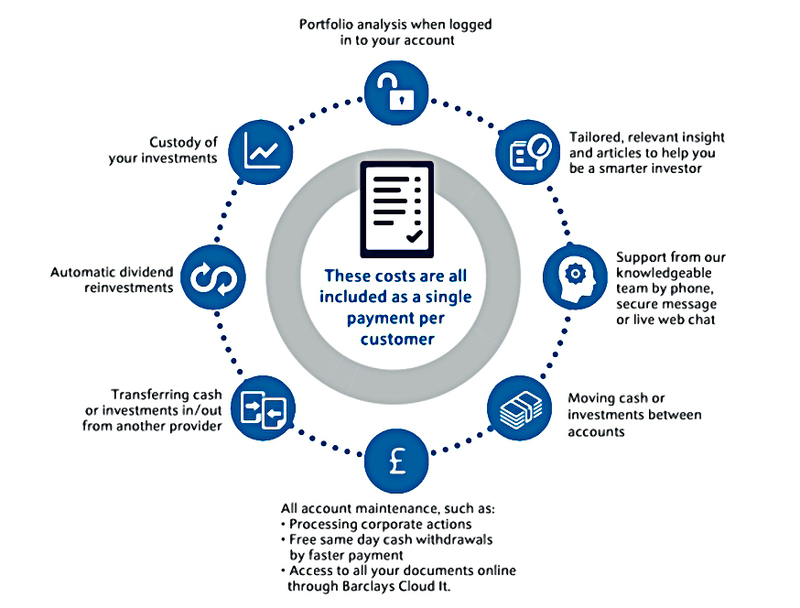 Barclays Smart Investor is a new cheap platform – at least for existing Barclays customers. But it’s not quite cheap enough to displace our incumbents (iWeb, YouInvest and Fidelity). You can find links to all of the articles in this series – plus the live spreadsheet summarising our findings – here.